Sardis Events find the Hitachi Z-HD5500 well-suited to handle LE screens in-shot. Corporate event specialist Sardis Events often works in production environments with dynamic lighting and background conditions that can be challenging for video cameras. When the company expanded its video equipment roster to support rapid business growth, they purchased three Hitachi Kokusai Z-HD5500 studio and field production cameras to provide the image quality they were seeking. The Hitachi Z-HD5500 cameras have impressed Sardis camera operators. Based in Gurnee, Illinois, Sardis Events was formed roughly 18 months ago as a division of 20-year-old production, AV installation and rental company Sardis Media. 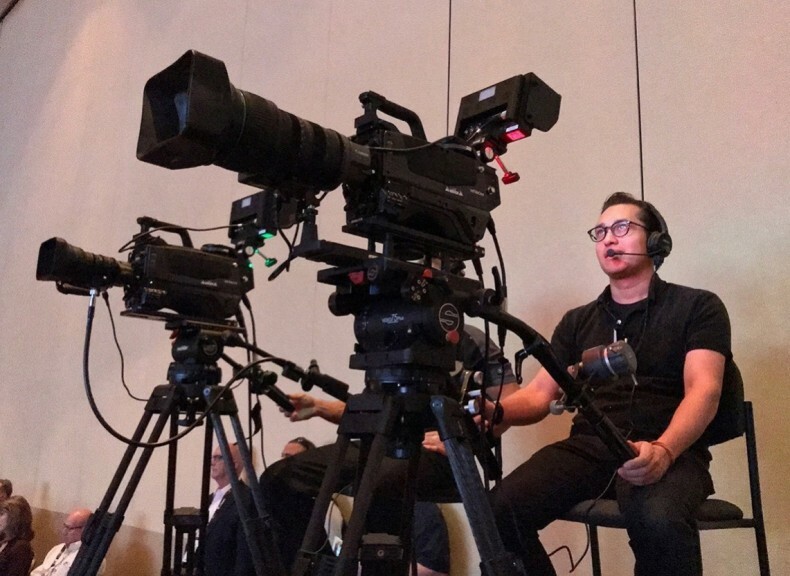 Sardis Events provides services from staging and set design to multi-camera image magnification (IMAG) and live webcasting for Fortune 500 companies, as well as a variety of professional associations. Sardis produces events across the U.S. and internationally with audiences ranging from hundreds to thousands of attendees, and with their project volume growing to nearly 100 jobs annually, they started evaluating new cameras last year. The camera control units are mounted in one of two pre-wired racks that Sardis moves from show-to-show for easy setup. Sardis deploys the Z-HD5500 cameras on tripods, handheld or on a jib depending on the needs of each project. 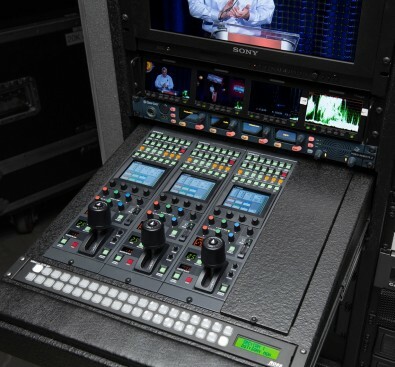 The cameras are connected via fiber to Hitachi CU-HD1200 camera control units mounted in one of two pre-wired racks that Sardis moves from show-to-show for easy setup. One rack houses the CCUs, camera shading controls, shading monitor, recorders, scopes, and Ross Carbonite Black Plus switcher frame, while the second rack hosts the switcher control surface and primary monitoring. The pre-configured racks combine with the Z-HD5500s’ fiber connectivity and ease of deployment to speed on-site setup times.